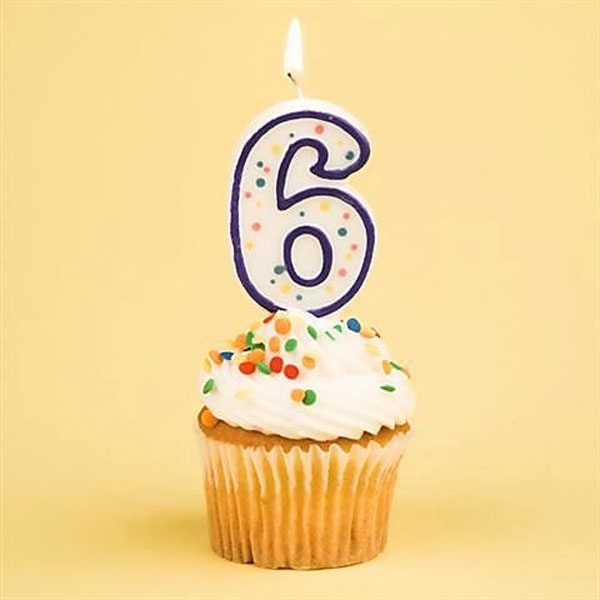 It's a special day today, October 12th is officially MisteR's Birthday and we're turning 6! So in celebration MisteR is giving away its presents and for today only we're offering 20% Off all New Season stock! Simply enter the code below at our online checkout to receive your discount (offer expires at midnight). Fresh Shirts, hot Suits, all new Denim and the best Shirt Dress you'll see all season ladies! Plus there's a whole new range of Bows, Ties and Hats. Our Ties are as slim as ever but this season we've slimmed the bows down too, the 'Bat Wing Bow' as it's known. 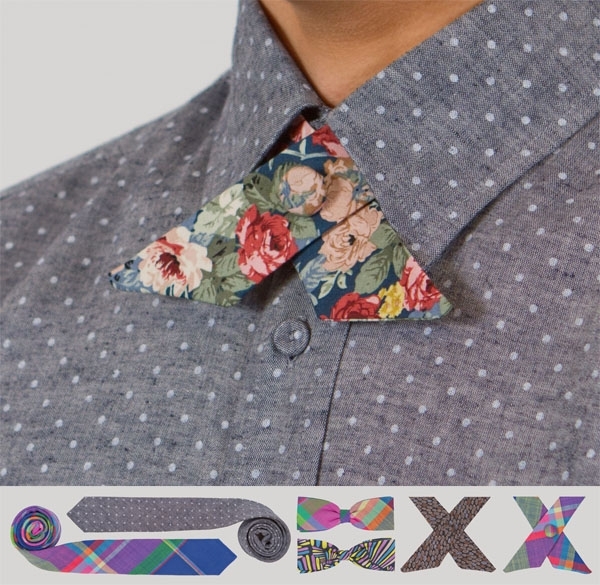 Oh and just when you thought it couldn't get any better, we've revived the old Crossover Tie this season too! These are a fantastic option for those who are not a fan of the Bow. Now be quick because several styles are already Sold Out. Check out the SALE store while your online too, we've got items starting at just $25! 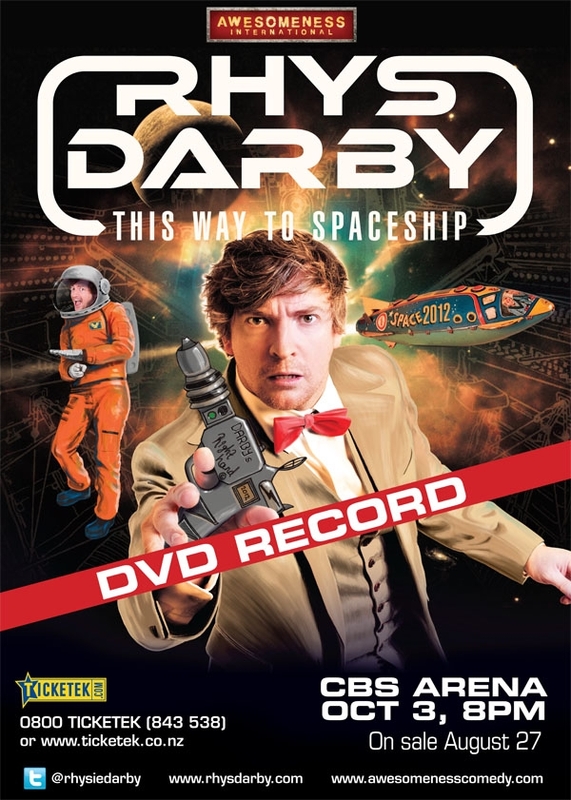 On the 3rd of October Rhys Darby is performing his stand up show 'This way to Spaceship' at the CBS Arena in CHCH and we're giving away 2 double passes worth $130! All you have to do is buy anything from our new Summer 12/13 range and the Tickets are yours. Ooh and he's recording this show exclusively to release as a DVD, so it's going to be his best of the season! Ps. You can also purchase tickets yourself from Ticketek. Auckland always seems to get all the fun, but this time it Wellys turn! We've collaborated with some of our favourite designers and put together a PopUp shop in Wellington. It opens today Fri 21/9 and is running for 3 whole weeks. You'll find our new Summer range in store along with some tasty SALE items. And don't worry lads..... despite the add above there's going to be heaps of Menswear! 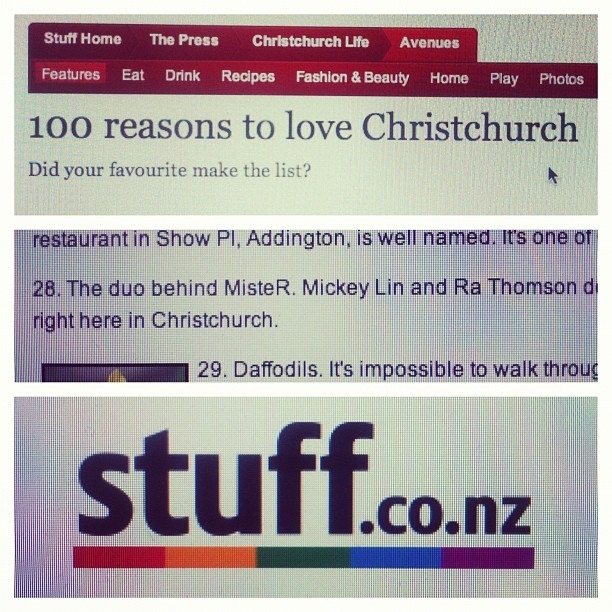 You'll find it located at 29 Manners St, Wellington. Get in quick for the deals cos they wont last. Oh and by the way our first drop of Summer goodies is in store and online now! There's plenty more to follow but things selling fast with several styles already sold out so get in quick. ...We're launching our Summer 12/13 collection next week, titled 'Footloose'. But before we do we're giving you one last chance to get a winter deal. We've already discounted the online stock by 50% but below is a voucher for a further 10% Off. Free postage nationwide and 60% off, now that's a deal! Offer expires next Friday 14/9. 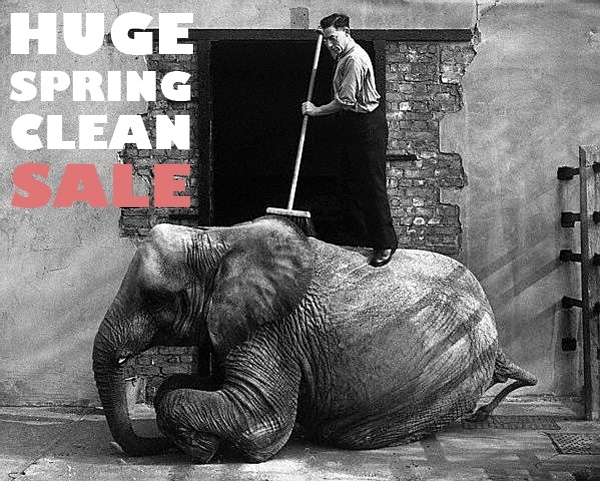 Plus don't forget about the Designer Garage Sale this weekend. 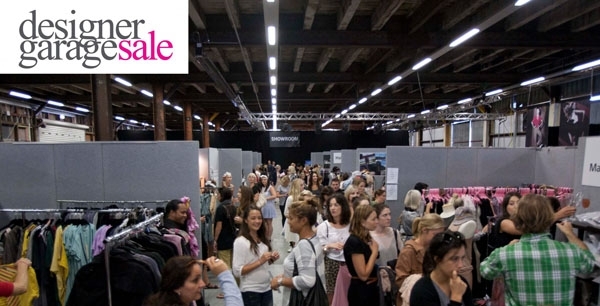 This coming weekend NZ Fashion Week concludes with the ever popular Designer Garage Sale. We've got some beautiful MR wears on sale for cheap as prices starting from just $30! There's last season goodies, one off samples, as well as some retro MR exclusives. We're just working on the last few details of Summer 12/13 and we'll be releasing it in the next few weeks.... Keep ya posted on that one! Winter is quickly coming to an end which means It's time to make room for new stock! So all our Mens and Womens Winter stock is 50% OFF..... Yup Half Price!!!! Last chance to grab that sweater or dress you've been wanting all season. 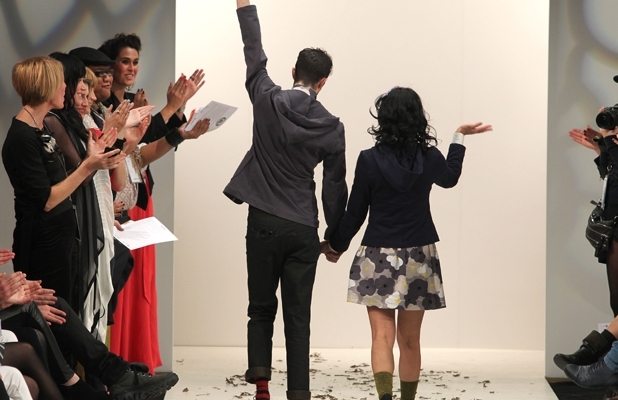 We had a great article in The Christchurch Press yesterday (read it here), but we just want to add that despite the misleading title and photo caption, we actually ♥ Love New Zealand Fashion Week ♥ and we think it's a very important part of our industry. It most definitely is "viable" and an event well worth being a part of! Pieter and NZFW have been very supportive of us over the last few years, throughout the earthquakes and hard times and we have a lot of respect for the entire team. We believe fashion design and clothing manufacture is a true art form and like all art forms, good things take time. True fashion is not something to be rushed and pumped off a factory line in a soulless fashion like a product destined for K-Mart. Here at MisteR we take care and nurture each and every step of the garments creation, filling each piece with energy and love. We even number each and every piece we create, making them truly Limited Edition. This video shows us printing and making the Logo Badges for our new range of Jeans, just one of the many small details we apply to all our wears. Clothing is known to have a huge effect peoples mood and persona both negative and positive, could this be because what they are wearing is made in a soulless fashion??? MisteR will make you look and feel good!